WASHINGTON — Relativity, the startup developing a small launch vehicle using additive manufacturing technologies, announced Jan. 17 it has won approval from the U.S. Air Force to build a launch site at Cape Canaveral. The company said it had received a “Statement of Capability” from the 45th Space Wing, which operates Cape Canaveral Air Force Station in Florida, allowing the company to develop a launch facility on the site of Launch Complex (LC) 16. The agreement gives Relativity exclusive access to the site for a 20-year term. The agreement permits Relativity to proceed with construction of infrastructure at the site to support launches of its Terran 1 rocket. That includes a payload processing facility, a vehicle integration hangar, a horizontal transporter/erector, propellant storage farms and other equipment needed for launches there, said Tim Ellis, chief executive of Relativity, in an interview. “We’ve been thinking about launch sites since Day 1 three years ago,” he said, but only formally kicked off a launch site selection process six months ago. The company considered a number of launch sites in the United States, but considered Cape Canaveral their top choice. LC-16 was built in the 1950s for tests of Titan 1 and Titan 2 missiles. It was later used to support NASA’s Gemini and Apollo program, but hosted no launches for those efforts in the 1960s. It was then used to for test launches of Pershing missiles, the last of which took place there in 1988. The dormant facility is one of the few available existing launch sites at Cape Canaveral. It is located north of the former Launch Complex 13, now used by SpaceX for landing Falcon 9 and Falcon Heavy boosters, and south of Launch Complex 20, which Space Florida, the state’s space economic development agency, is planning to convert into a small launch complex. 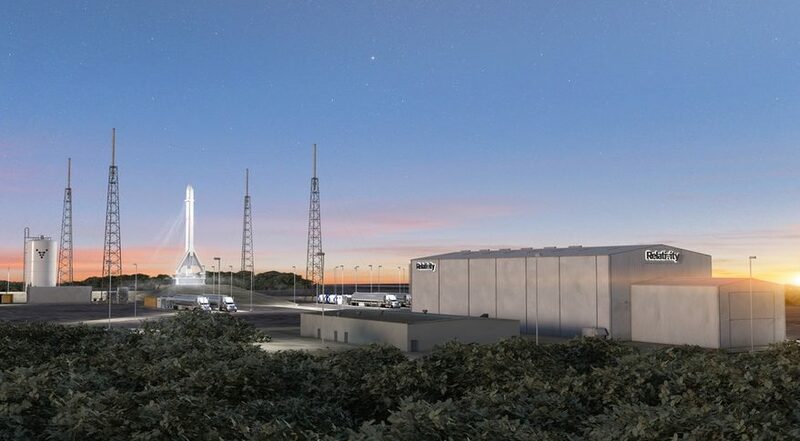 Ellis said that Relativity sought to have exclusive access to a launch site, as its agreement for LC-16 allows, rather than sharing a multi-user site elsewhere at the Cape like LC-20 or Space Launch Complex 46, another pad operated by Space Florida. “It gives us schedule certainty and higher frequency” of launches over a multi-user site, he said. The site will be able to support launches to low and mid-inclination orbits, but Ellis said the company will need a second site for missions to polar and sun-synchronous orbits. He said the company is conducting a search for such a site but didn’t mention specific locations under consideration. Relativity is one of a growing number of companies seeking to develop small launch vehicles. The company, which raised a $35 million Series B round in March 2018, sets itself apart through the use of the additive manufacturing, or 3D printing, technologies, to manufacture most of the components of the Terran 1 vehicle. That vehicle, with a payload capacity of about 1,250 kilograms to low Earth orbit, is also significantly larger than other small launchers under development. Relativity has undergone a growth spurt since closing that funding round. Ellis said he just signed an offer letter for what would be the company’s 60th employee, up from 14 last March. The company is also looking for a new, larger headquarters in Los Angeles big enough to support initial launch vehicle production.